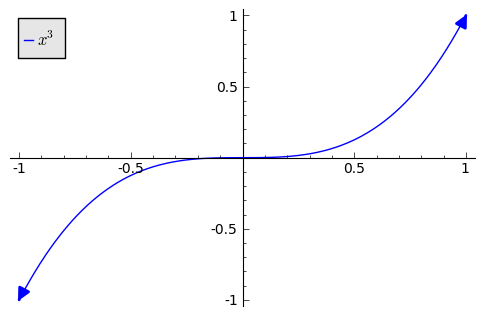 How could I plot a plane curve (either the graph of a function or an implicit plot) so that where the curve leaves the bounds of the plot, an arrow in the tangent direction is added? 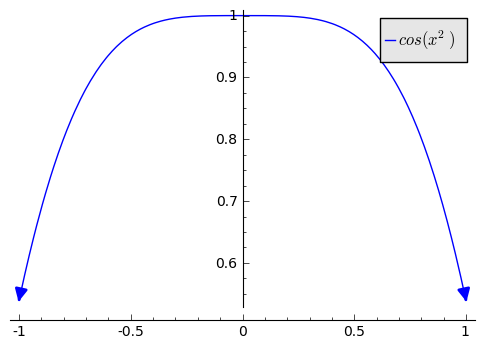 I'm trying to produce plots for quiz and exam questions that are similar to ones you see in many calculus books where arrows are added to the ends of the curve to indicate that the curve continues in a certain direction "off the screen". I've searched sage-support, the manual, and the documentation without much success. Perhaps I'm searching for the wrong term. Searching for "arrow" and "plot" or "curve" hasn't gotten me anywhere. I've also looked through examples in the matplotlib gallery, but I don't see any examples of what I want there. I can imagine writing code myself to add such arrows to a plot, but I'm sure someone has thought about and implemented this before. I was thinking of something similar, just thought someone might have already implemented it. These plots look great. Thanks! As far as I know, the plotting in Sage is done by matplotlib. 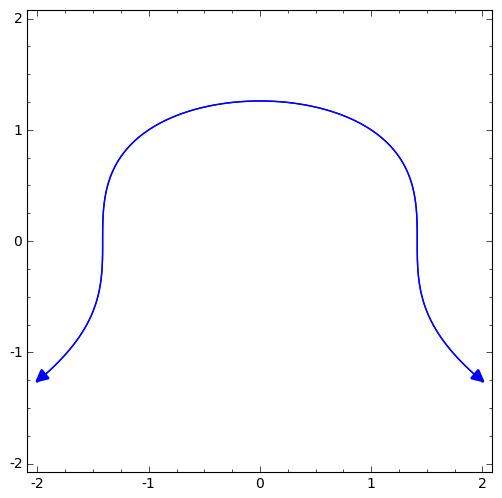 I browsed through the matplotlib docs and couldn't find anything about arrows at the ends of curves. The docs also contain a gallery of examples, and I didn't see any suitable examples. In any case, I think matplotlib is the place to look; if matplotlib can do it, then Sage probably can, but if matplotlib can't then Sage can't.